John Lewis, the UK department store chain, has launched “The Long Wait”, the Christmas 2011 advertising campaign. 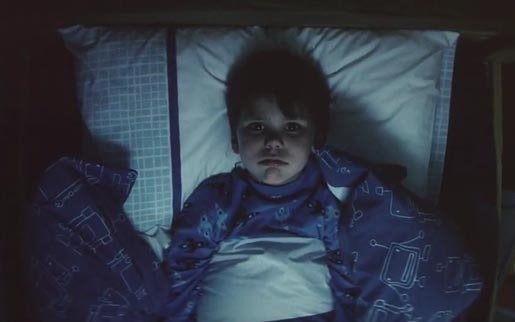 The advert at the heart of the campaign features one little boy, played by Lewis McGowan, who is impatiently counting down to Christmas. We see him tapping his fingers, gazing out of the window, even trying to cast a spell on a clock to make time go faster, but to no avail. The ending provides a wonderful twist, leading into the tag line, “For gifts you can’t wait to give”. There is something even more wonderful than receiving the perfect gift, and that is knowing you have found the perfect gift for someone you love. The Long Wait was developed at Adam & Eve, London, by creative directors Ben Priest, Emer Stamp and Ben Tollett, creatives Matt Gay and John Long, and agency producer Matt Craigie, working with John Lewis director of marketing Craig Inglis and head of marketing Lloyd Page. Filming was shot by director Dougal Wilson via Blink with director of photography Lasse Frank, executive producer James Bland and producer Ben Link, production designer Andy Kelly, costume designer Michelle May. Editor was Joe Guest at Final Cut. Post production was done at Moving Picture Company (MPC), London. Sound was designed at Factory. Music was produced at Major Tom, London. The track ‘Please, Please, Please let me get what I want’, was originally recorded by the Smiths, and has been rerecorded by emerging artist Slow Moving Millie, licensed by Leland Music.